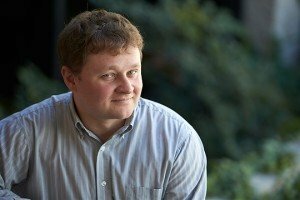 UNLV computer science professor Andreas “Andy” Stefik will be honored January 26, 2016 in Washington, D.C. as a “White House Champion of Change.” Stefik is one of nine to be recognized this month for their work in computer science education. Stefik creates technologies that make it easier for people — especially those with visual impairment — to use computer software. According to the White House, the Champions of Change program was created to feature the extraordinary work citizens do to empower members of their communities. Stefik is the inventor of Quorum, the first evidence-oriented programming language. The design of Quorum is based on rigorous empirical data from experiments on human behavior. With grants from the National Science Foundation, Stefik also established the first national educational infrastructure for blind or visually impaired students to learn computer science — a model being used in nearly 20 schools from Clark County to the United Kingdom. The Champions of Change program was created as an opportunity for the White House to feature individuals doing extraordinary things to empower and inspire members of their communities. The Champions of Change selection committee has paid tribute to more than 1,000 awardees over the last five or so years with monthly awards in areas highlighting the president’s initiatives, including LGBT, refugee and Affordable Care Act issues, organizers said. A year ago, President Barack Obama became the first president to write a line of code, and in his State of the Union address, he issued a broad call to action to expand computer science across the nation’s K-12 classrooms. Read more about the announcement, and check out where you can catch the live stream of the event, here.